The use of copper-tungsten as a substrate for electroless nickel plating can create a product that maintains numerous advantages over the use of single material elements. Plating on copper-tungsten can also help make it easier to use tungsten for a multitude of other purposes. Copper-tungsten plating is used throughout the world for a wide range of applications including manufacturing, electronics, automotive and aerospace industries. Copper is a soft, ductile metal that displays excellent thermal properties and high electrical conductivity, which makes it a top choice for manufacturing products. Tungsten is an extremely useful metal that can be used under harsh conditions due to its high melting point, high tensile strength and electrical conductivity. When copper and tungsten are combined to create copper-tungsten substrate the useful benefits of both materials are combined to create material that can be used for many different purposes. The electrical and thermal properties of the copper-tungsten substrate vary with different proportions. When the copper is increased the thermal conductivity is increased as well. which allows the copper-tungsten substrate to be used in circuit breakers. Electrical resistivity increases with an increase in the percentage of tungsten present in the composite, ranging from 3.16 at 55% tungsten to 6.1 when the composite contains 90% tungsten. An increase in tungsten leads to an increase in ultimate tensile strength up until the alloy reaches 80% tungsten and 20% copper with an ultimate tensile strength of 663 MPa. 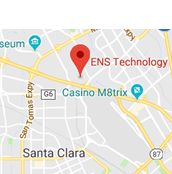 Contact ENS Technology for Copper-Tungsten Plating Services Today. Contact us for more information on plating on copper-tungsten and our other metal plating and finishing services, or request a quote for an in-depth price analysis today.